Here’s your chance to start making headlines with Disney’s Newsies for only $75. This new resource was created to make marketing and advertising Newsies dynamic and professional by utilizing assets from the original Broadway production. Music beds for radio, television and social media advertising. Tips on effective branding and social media best practices and more! 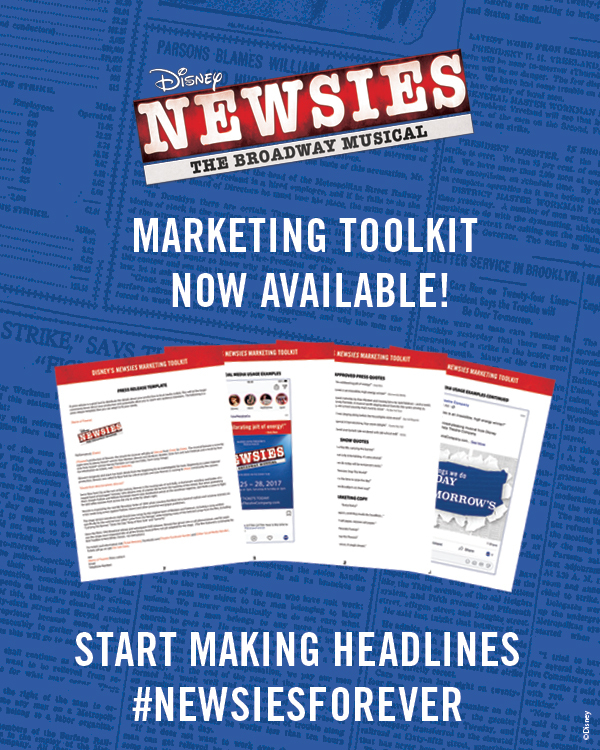 You can order the Marketing Toolkit under your Newsies booking in your MyMTI Account or by calling your licensing representative at (212) 541-4684.